Having the right kitchen tools is an important part of kitchen safety for seniors and the elderly. Most seniors want to remain as independent as possible. And, this includes being able to cook for themselves. Sometimes though, the pain and swelling of arthritis prevent this. Heavy pots and pans become difficult, or even painful, to lift and grip. But, choosing lightweight cookware for the elderly with arthritis may restore kitchen independence – and reduce arthritic pain. Here’s how. If you just want to see my recommendations, here they are. 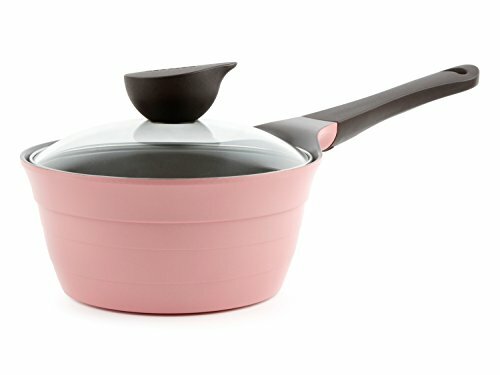 Full reviews and descriptions of these cookware options follows. Here are my recommendations and reviews for some lightweight cookware options for the elderly and seniors. This lightweight cookware set from Neoflam comes in several different configurations to fit many budgets and needs. It is available in several different configurations like 3 piece sets, 5 piece sets, and 7 piece sets. Made of lightweight cast aluminum, these pots, pans, and lids are durable and offer great heat dissipation. The material and size of the pans make them very lightweight. The lids have very large bakelite handles that are cool to the touch and easier to grasp than many cookware lids. The pan handles are larger than average but could be a bit more ergonomic. DURABLE, LIGHTWEIGHT & NO HOT SPOTS - Quarter-inch thick, 2500-ton forged aluminum construction. This is my choice for the best lightweight cookware set for the elderly because of its light construction and extra large handles. Made of lightweight aluminum with special 5 layer construction for exceptional non-stick surface and heat distribution. I love the handles on these pots and pans. Especially the ones on the lids. The pan handles are thick and extra long. Long enough that 2 hands can be used to hold them for better grip. The handles on the lids are huge and simple to grasp. Could save a lot of lid drops and injuries. If you are looking for an extremely lightweight cookware set, you won’t find a set much lighter than this one. A 7 piece set weighs less than 3 pounds. This set is designed for campers and backpackers but can easily be used indoors at home too. The drawback to using these at home though is the way the handles work. The set comes with a gripper handle that is used to grasp the pan. It is then moved from pan to pan as needed. Because of this grasping motion, this set of pots and pans is not the best choice for people with arthritis. This set is not for everyone. But, I would recommend it for someone with severe hand or arm weakness. These are the lightest pans you will find. But, because of the handles, they are not a good choice for people with grip problems or arthritis. The features that come with this saucepan, like the nonstick surface and steam release vent, are great, but the handle could be more ergonomic, and it needs a pour spout. This saucepan’s angled ergonomic handle is what really makes it stand out. This should be extremely helpful for people with arthritis or hand and arm weakness. 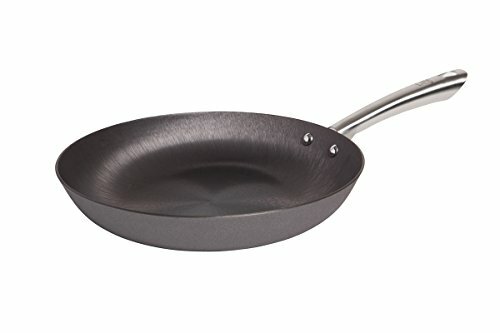 This fry pan cooks a lot like the cast iron skillets many people are familiar with, but it only weighs 2 lbs! 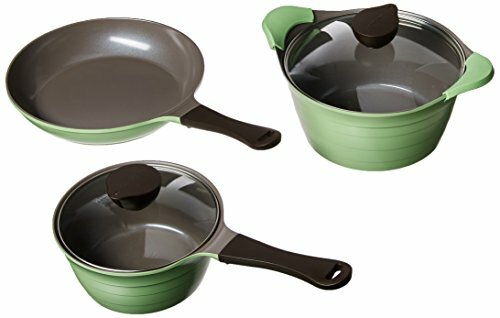 This lightweight frying pan has a ceramic non-stick finish, comes in several colors, and weights about 1.5 lbs. Who Should Use Lighter Weight Pots and Pans? Any or all of these conditions cause hand and arm weakness and poor grip strength. Why Does the Weight of Pans Matter? The weight of the cookware seniors use is important for a few different reasons. First, the weight may be too heavy for the senior to lift on a consistent basis. This could lead to pots and pans being dropped. Injuries could result. A mess definitely will. Second, pans that are heavier must be gripped tighter. Tight grips on narrow panhandles are difficult at best for elderly people with poor grip strength. For those with arthritic hand and wrist joints, it can be very painful. 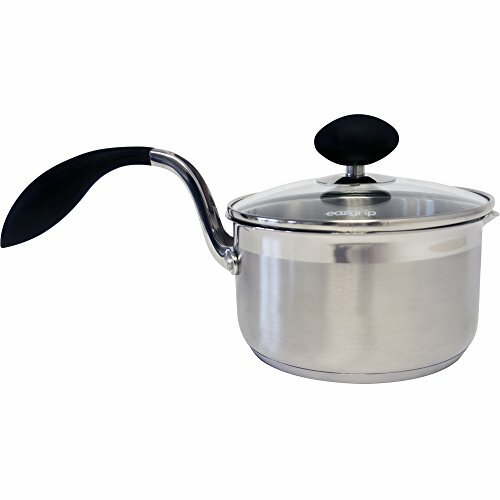 There are a few key features to consider when shopping for lightweight cookware for the elderly. Here are my suggestions of the most important things to look for in light pans for seniors. I guess it goes without saying, but I’ll say it anyway. The weight is important! But, weight can be managed in a couple of different ways. For example, if the senior lives alone or with a spouse only, maybe smaller pans could be used. Going from a full size, cast iron skillet to an 8″ saute pan will cut the weight considerably. The material weight of the pans is a big factor. Many cookware manufacturers market their products on heat distribution and even cooking. But, many of the materials they use, like anodized aluminum and ceramics, are heavy. Too heavy for many seniors and elderly. So, look for pots and pans that are made of lighter weight materials like aluminum or carbon steel. These are the materials commonly found in some of the cheaper cookware sets. Some of these light pans will have metal disks on the bottom that improve heat distribution while cooking. Yes, I understand that heat distribution and even cooking are important. But, not if lifting the pan or gripping the handle causes pain. Or increases the chance of injury. It is more important that seniors are able to use the cookware rather than worry about whether or not it is the most efficient set. A lot of people never think about this, but take a good look at the handle sizes of the pans. Long, skinny handles may be difficult to grip for some seniors and elderly people. Look for thicker handles that are ergonomically curved to fit the closed grip of a hand. Don’t forget about the lid handles too. Many sets have small button type handles. These are often too small for anyone with grip problems. Look for larger handles that can be hooked or gripped more easily. As I mentioned above, consider using smaller sized pans. 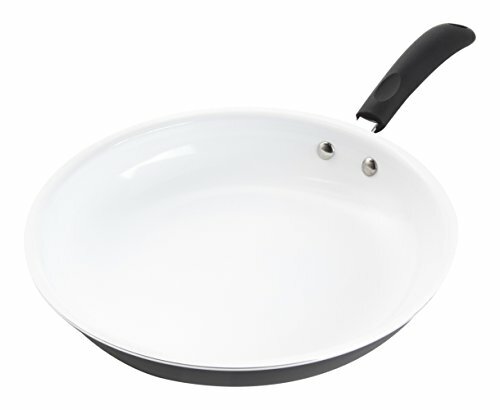 For example, 8″ or 10″ saute pans instead of large frying pans are a great place to start. Another substitution could be using. 1 quart saute pans instead of large, dutch oven sized pots for liquids. Smaller pans should do fine for everyday cooking. Seniors and elderly people need to maintain their independence as long as possible. Providing the right tools in the kitchen improves their ability to safely prepare their own food. Lightweight cookware sets like the ones discussed here are important considerations. Other tools to think about are easy to use can openers and small coffee makers. There are even manual and automatic devices for opening jars for seniors. So, which set is the best cookware set for elderly and seniors? My top recommendation is the Happycall set. 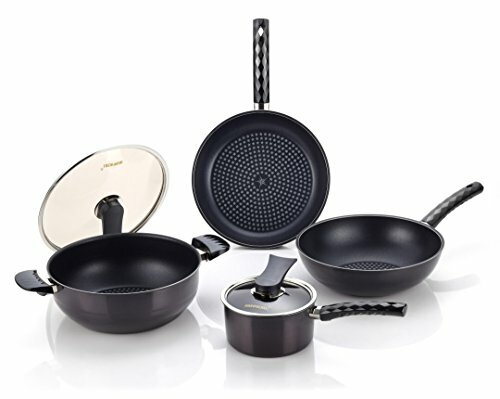 You get a durable, easy to clean, non-stick cookware set that is lightweight and has easy to grasp handles. And you won’t spend a ton of money. Of course, these recommendations assume that using a stove and oven is safe. If there are any safety concerns, consider switching to an easy to use microwave oven for everyday cooking. For some seniors, an electric cooker maybe the best option. Do you have any experience choosing cookware for a senior or elderly person? What types of products did you choose? Do you have any other recommendations for safe cooking for elderly? Leave your thoughts in the comments below! If you found this guide helpful, please also share it on your social networks with friends and family!